DEFECTS OF ALUMINUM ALLOY-AdTech Metallurgical Materials Co.,Ltd. (1)A breaking wave is formed by surface turbulence. (2)The two un-wetted sides of the oxide films contact each other. 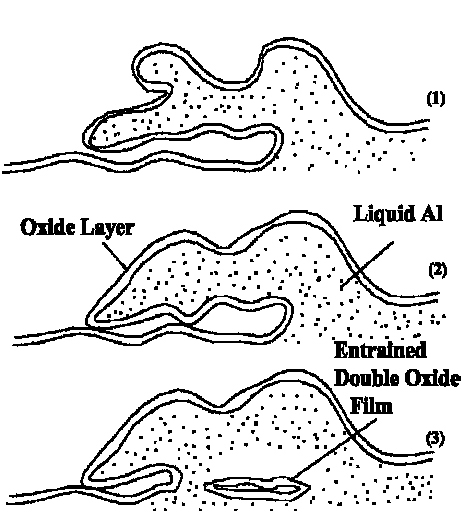 (3)A double oxide film is submerged into the bulk liquid as a crack like defect. 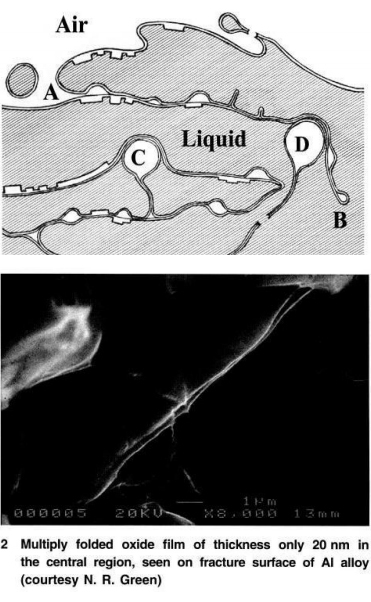 Surface turbulence causing the entrainment of bifilms and associated bubbles. A – B:- Small entrained bubbles form pores in bifilm. C and D:- Large bubbles are buoyant ,creating trails prior to capture elsewhere or eventual detrainment. 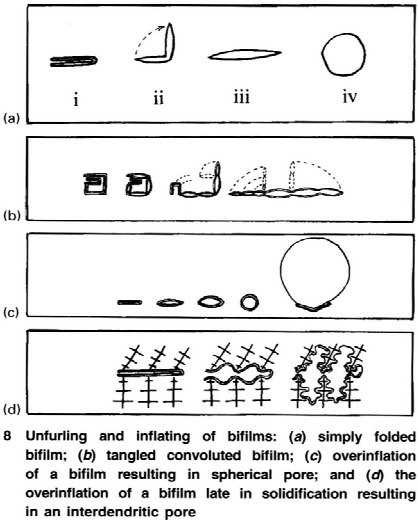 Bifilm is pummelled and ravelled into Compact convoluted form. 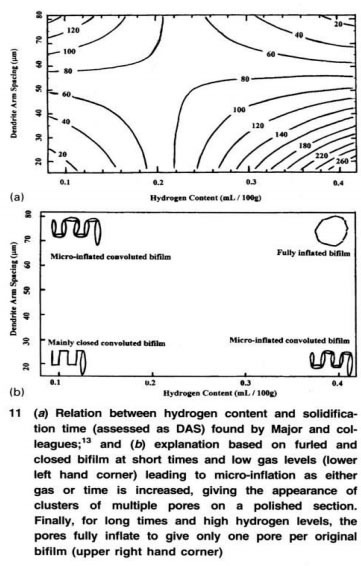 At short solidification times Pore density increases with increase in hydrogen content. 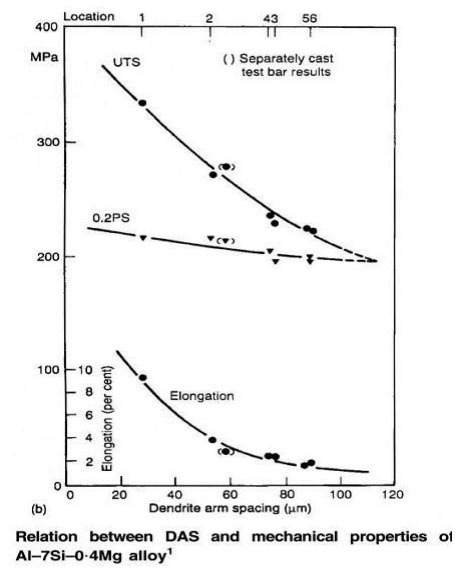 At longer solidification times pore density decrease with increasing hydrogen content.  Oxides are much harder than the metal itself, causing dragging out during machining, leaving unsightly grooves.  The cutting edge of tool is often chipped or blunted by encounters with such problems.  For thin-sectioned castings 5 mm and below, film defects can be extended from wall to wall across the mould cavity and so connect the casting cavity, surfaces with a leak path. 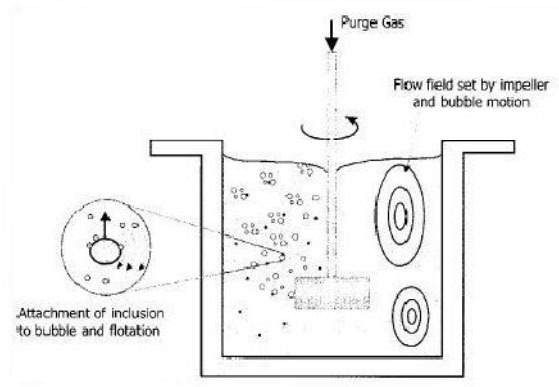  Bubble defects are specially troublesome with respect to leak tightness, since they necessarily start at one casting surface and connect to the surface above.  The fluidity of clean melt is always higher than that of dirty melt, and can be cast at a lower temperature.  The cumulative benefits are valuable. 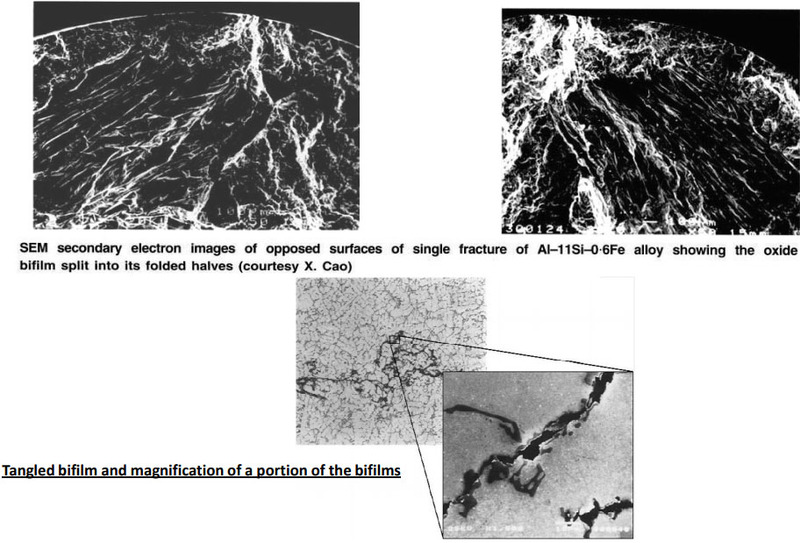  Corrosion pits and corrosion filaments occur principally on entrained Casting defects. To remove hydrogen from the liquid aluminium, a degassing process is essential.  Flux, purge gasses, vacuum degassing and ultrasonic vibration can be used as degassing methods. The most popular method is bubbling inert or reactive gases from near the bottom of the furnace.  The purge gasses are usually, Ar or some mixture of these gases. During their passage through the melt, the bubbles, which are of low initial hydrogen content, absorb hydrogen from the melt and then escape at the surface.  The melting temperature, size of the gas bubbles and gas composition are important factors for this degassing method. The solubility of hydrogen doubles when the liquid aluminium temperature increases by 60 °C.  The size of the gas bubbles determines the area/volume ratio (A/V). For high degassing efficiency, the A/V should be maximised, and bubble smaller than 5 mm are the most effective. Inclusions such as aluminium oxide and Mg come from ingots or reactions with oxygen in the air or humidity during melting and casting.  Sedimentation, flotation and filtration in the furnace are used by the foundry industries to remove these inclusions.  Once at the surface, they can be removed by skimming. However, these fluxes contain contain harmful harmful elements elements such as Cl, F or P.
 The flux itself can be an inclusion in the casting if it remains in the melt after treatment. After cleaning during the melting process, a filter within the mould can help to remove inclusions such as fluxes, ceramic particles or oxide film during the filling process. 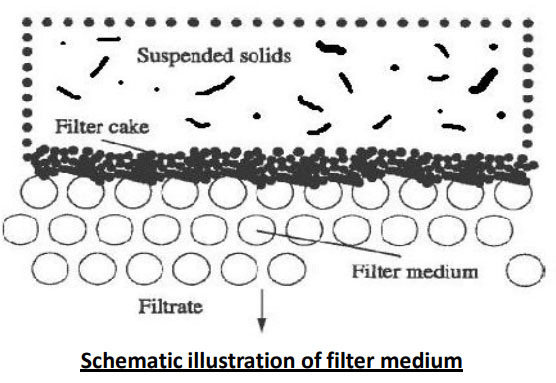  Inclusions can be trapped on the front or entry face of the filter, and build up filter cake layers. Eventually all the gases are consumed and the most damaging effects of the film causing leaks, nucleating bubbles, cavities, cracks will have been removed.  This automatic deactivation of entrained film usually occurs in cases where the metal is subjected to pressure (squeeze casting (50-150 MPa), hot isostatic pressing (200 MPa), even some benefits are obtained in sand casting with moderate pressure of only 0.7 MPa).